Happy Halloween! We had our family photos on Sunday, and then snapped a few more pics at home with our finished painted pumpkins outside in the sunshine. The sun only lasted the first part of the week, though, and by mid-week the temperature had dropped significantly… just in time for Halloween on Friday, the coldest day of all!Â Liam went on a school field trip with daddy to a local farm where they went on a tractor ride and learned about apple cider. For Halloween, both kids went trick-or-treating in theirÂ schoolÂ holiday parade. Just look at how fabulous their costumes were! 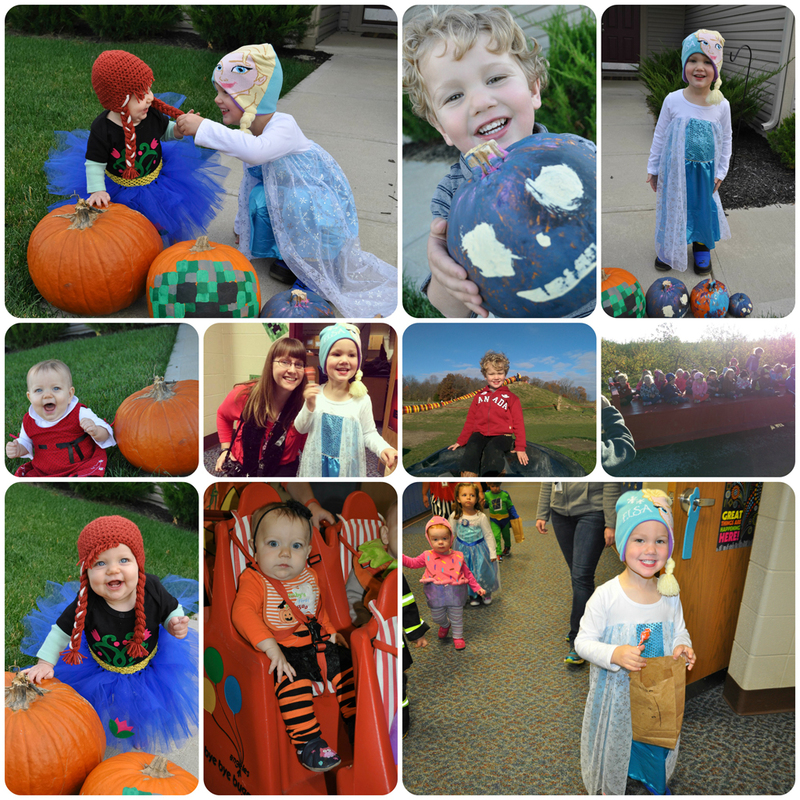 Liam was Elsa from Frozen, and Lila was Anna from Frozen. They made an adorable pair. Liam actually got into Halloween for the first time this year, and loved trick-or-treating… even if it was only just a few houses due to the cold and sleet.